In 2016, I worked on a concept for a home automation application that integrates with smart devices. 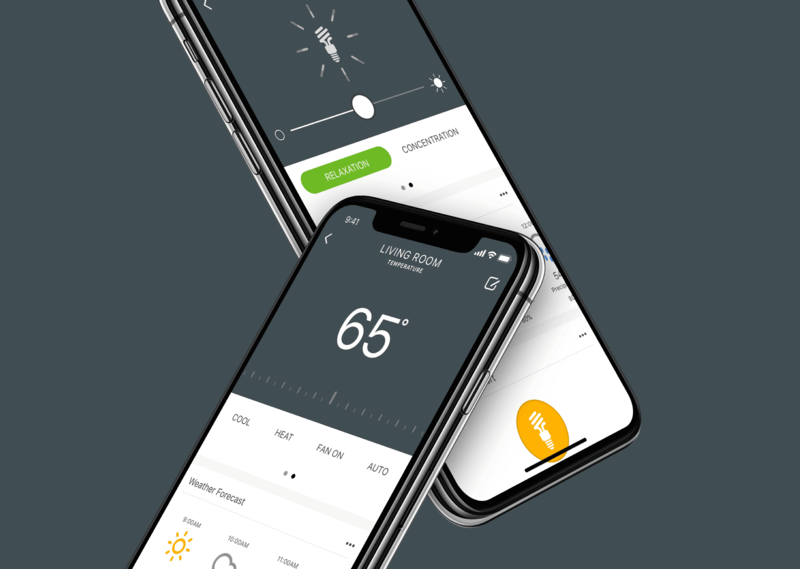 The product allows users to control the temperature and lights in their home. To provide educational resources, users receive tips on how to reduce energy consumption and contextual recommendations based on the current weather. View the prototype here. In 2016, I worked on a concept for a home automation application that integrates with smart devices. The product allows users to control the temperature and lights in their home. To provide educational resources, users receive tips on how to reduce energy consumption and contextual recommendations based on the current weather. On first launch, the application will search for different smart devices around your home and will enable the users to link them to Homate. After linking the different devices, the user will be able to view and control different devices settings based on the rooms. The banner shown will double as a resource for showing how to intiate the scan and to provide the search status. 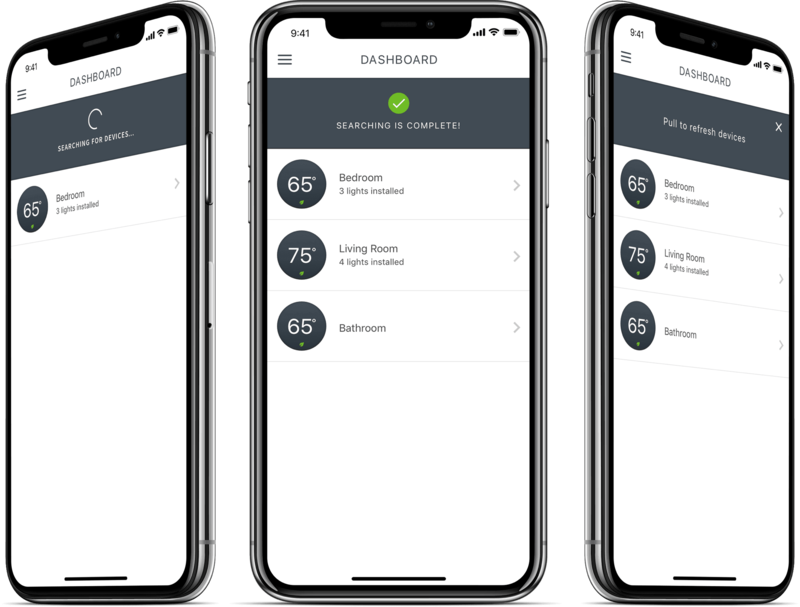 If the user has a smart thermostat installed, the dashboard of the application will show controls specific to that device. 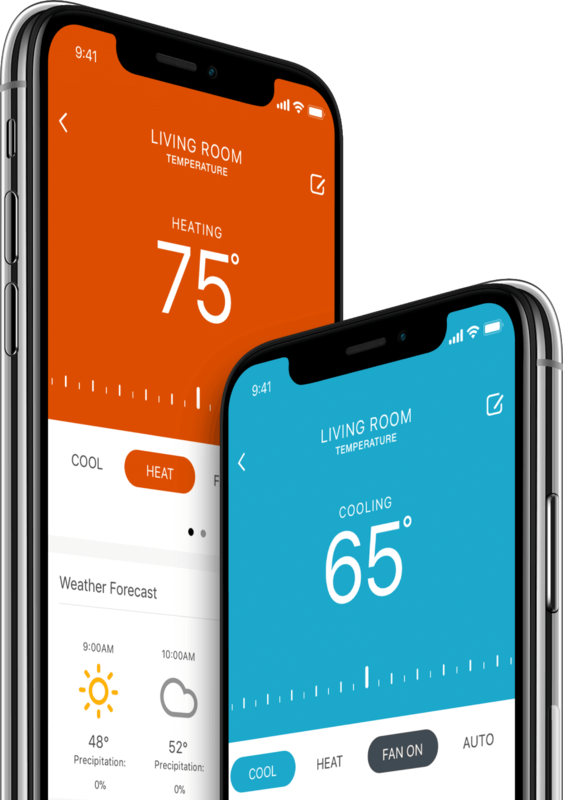 The user will have the ability to cool or heat the room, get recommendations on temperature based on weather, change/edit the room name and limit controls to certain users. For additional controls, the user may swipe the top portion to view any lights with pre-defined settings for mood and relaxation.